Since its establishment in 1930, Sugatsune has been guided by one motto in particular, “A company’s prosperity depends on its ability to bring convenience to its customers.” The year 2010 marked our 80th anniversary. Our LAMP and ZweiL brands have obtained worldwide recognition for their outstanding quality. 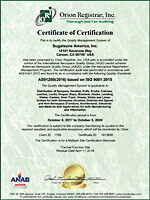 Sugatsune’s products and services have been widely recognized for their quality. This is the result of continuous effort to improve our design through rigorous testing and strict inspection. **Scope: Design, development and production of Furniture Fittings, Building Hardware, Machinery Hardware, Electronic and Communication Equipment, Steel Furniture and Lobby Furnishings. 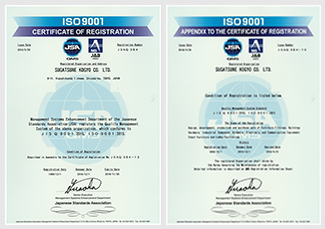 In 2017, Sugatsune America obtained both AS9120B and ISO 9001:2015 certifications.